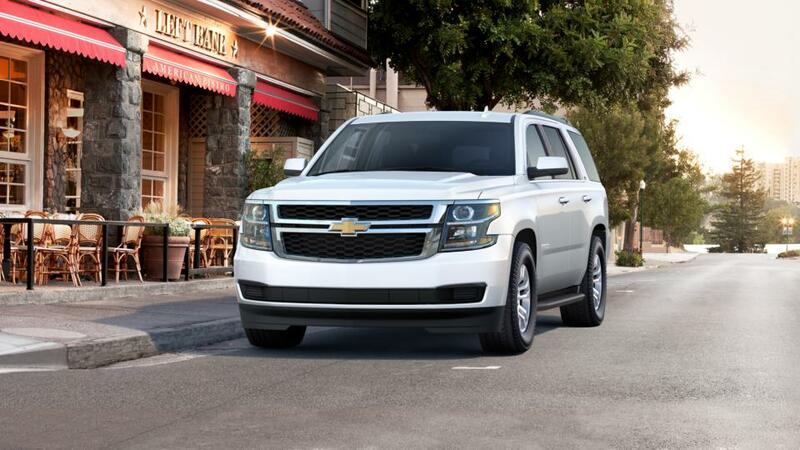 The Chevrolet Tahoe is a family-friendly SUV with a roomy interior. With three rows of seats and plenty of storage space, this SUV has lots of room for you and your family. Highly-rated safety features such as Blind Zone Alert and automatic forward braking will help prevent collisions as you drive. Considering all these features, it is an excellent vehicle for road trips with the available built-in 4G LTE Wi-Fi and the ability to tow heavy objects. Stop by Chevrolet Buick GMC of Helena near Great Falls and Townsend. Browse the inventory of new Chevrolet Tahoe models in Helena to find the best features, color, and trim for you. Give us a call at (866) 847-1478 for more information on taking the Tahoe for a test drive. Check the hours and directions page to find the easiest route to our dealership. We look forward to meeting you!